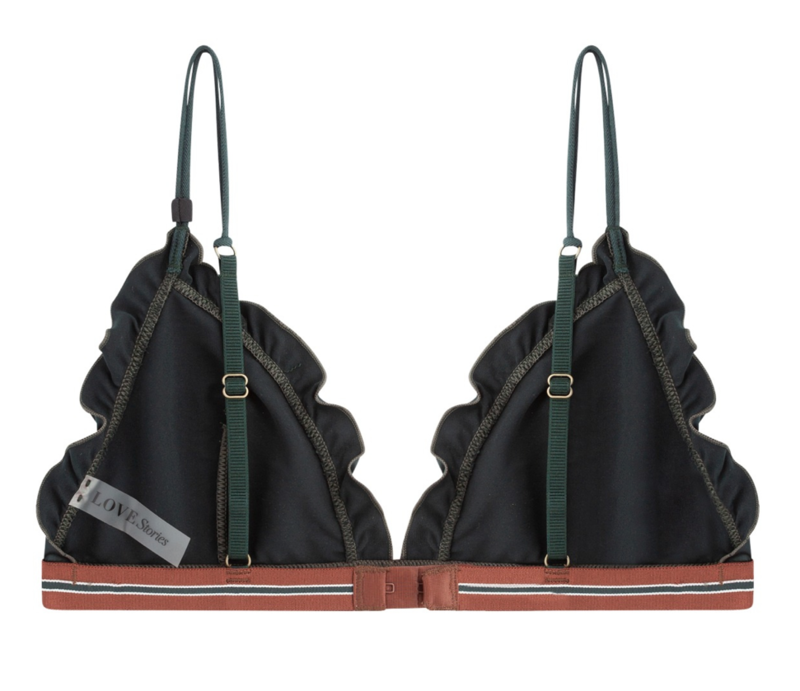 LOVESTORIES, this bralette is cut from dark green stretch fabric that has a comfortable stretch and a subtle sheen. Decorated with a tonal ruffled trim. Finished with an elasticated underband in a contrasting cognac stripe.